Iran and six major powers continued their negotiations in Vienna on Wednesday as the 24 November deadline looms over the talks. Iran and the United States will also hold their second bilateral meeting in two days at deputy ministerial level. 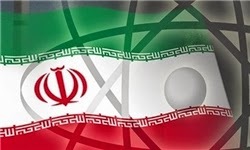 Iranian foreign ministry spokeswoman Marzieh Afkham said in Vienna that the talks are continuing in a serious and intensive atmosphere, and denied reports that the two sides have discussed their extension. Notwithstanding Afkham’s guarded optimism, there were signs that the extension of the talks was probably the only good option left. There are still major differences on the timeline of lifting of the sanctions and the uranium enrichment capacity that Iran could retain during the life of a final deal. If a comprehensive agreement could not be reached by Monday’s deadline, which is very likely, then extension of the talks would be preferable over a breakdown for both sides. The reported serious and intense negotiations underway in Vienna could partly be on the question if there will be enough progress in addressing the differences to justify another extension. Meantime, Secretary of State John Kerry met in London with Omani Foreign Minister Alawi for the second time in two days. Alawi had travelled to Tehran on Saturday in what was thought to be a mission to deliver a special message from the Americans. Kerry will travel to Paris on Thursday to meet with Saudi Foreign Minister Price Faisal. Kerry was expected to be in Vienna today, but postponed his visit and no new firm date has been announced yet. UPDATE: Iran-U.S. bilateral talks ended in Vienna on Wednesday at 5:45 pm local time, lasting 2.5 hours. No details about the discussions were available.